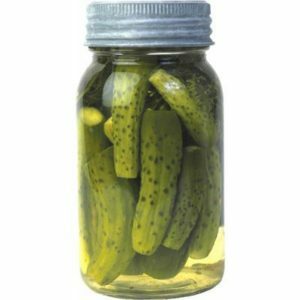 HomeNutritionAre Pickles Good for Your Health? If you like pickles, then you should know what they do for your health. Pickles are enjoyed by many. You might add them to your sandwich, eat them as a side dish or add them to many recipes as well. There are many flavors of pickles and they are good for you. Pickles are cucumbers with flavoring, herbs and spices. Water is released from the cucumbers and reabsorbed and that is what makes them bigger than pickles. Since pickles are a vegetable and they have a low number of calories, they are mostly healthy for you. However, they do have a higher sodium number than recommended so that is a downside. As long as you are eating them in moderation, you will be fine. There are under ten calories in one medium-sized cucumber that has been pickled so that would offer a great snack or side dish for you. Additionally, during the pickling process, the fiber is still held in the cucumber so you still get that benefit as well. You will also get Vitamin C, Vitamin A, potassium and iron from a pickled cucumber as well. While the numbers of these vitamins is not high, it is still something. You shouldn’t only eat pickles as your source of vegetables but you can add them into your diet. There has been some research done to show that pickles can help in relieving muscle spasms. If you are one of the men who suffer from these spasms and you love pickles, this should be fairly exciting for you. There is no conclusive proof but some research has been done in regards to this connection. 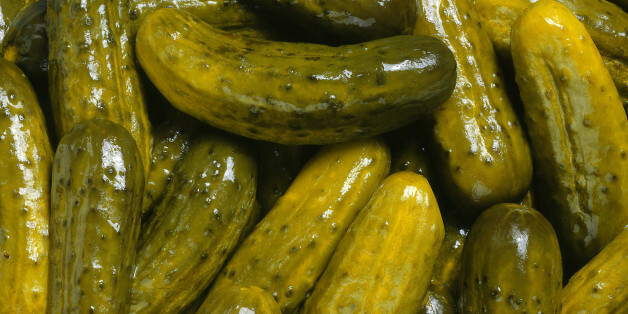 Generally, it is the pickle juice that has been shown to be good for treating muscle cramps. This is because it is higher in salt and vinegar which has been a recommended cure for these cramps over the years. The one and main concern about pickles is that they are higher in sodium. One medium-sized pickle has more than seven hundred milligrams of sodium. This is about one-third of the daily recommended sodium intake per day someone should get. 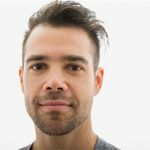 The majority of men already get more sodium than they should so this is a problem if you are eating too many pickles and getting sodium from other places as well. Too much sodium can cause a higher risk of stroke, heart attack and higher blood pressure levels too. Looking at how bacteria relates to your digestive tract is important when talking about pickles. Probiotics are the bacteria that benefits you such as improving immune functioning, digestive functioning and reducing risk of obesity. Some information out there states that pickles could be a probiotic. You shouldn’t eat a ton of pickles though. Due to the sodium, you still need to eat pickles only in moderation. The fermented pickles are the best source of pickles for probiotics. Pickles are tasty and you can eat them on sandwiches, in ham roll-ups, as a side dish and in many other things too. They do have some vitamins and minerals but they are low in those when looking at different vegetables. They are higher in sodium levels so you must eat them in moderation. While you can add pickles to your diet, you do need to make sure you are eating other vegetables too. Remember, if you have muscle cramps, you can talk to a nutritional specialist about trying pickle juice to relieve those cramps. 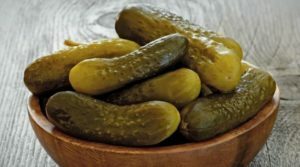 There are benefit of eating pickles as you read here today. Keeping in mind the type of pickles you eat, whether they are pickled or fermented and limiting your intake of them is all important. As a final note, you can still eat pickles as they do provide you with some health benefits.